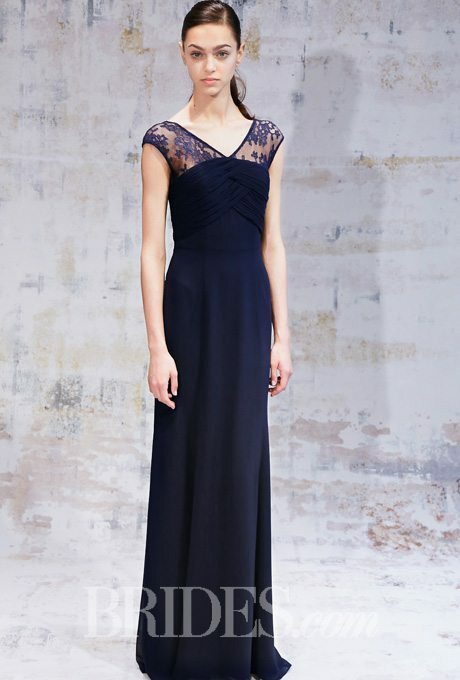 Dress your ladies in a rich shade of navy blue and let them wear a dress that floats down the aisle. 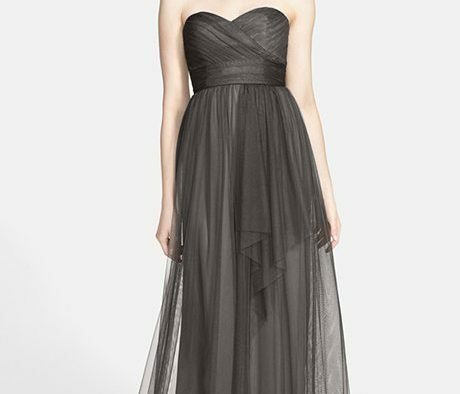 Check out these beautiful, full-length gowns that will make your ladies in waiting sparkle. 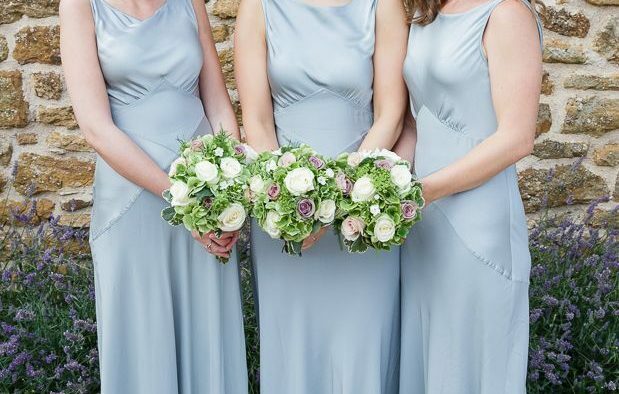 This easy Grecian style will compliment a variety of sizes and shapes, a winner in the bridesmaid world. Formal and fashion-forward, this peplum number will look incredible in photos and certainly liven up your ceremony setting. A traditional dress that can easily be accessorized to fit the day’s theme, this a classic choice. 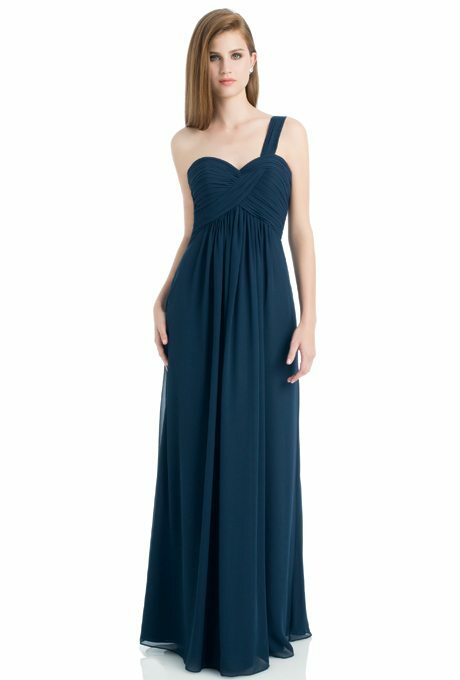 A more couture choice, this dress may not look incredible on every girl but may be the right choice for one stand out lady like the maid of honor. Elegant and beautiful, the illusion neckline speaks of vintage style, perfect for a wedding with a Victorian feel. Another choice that will compliment a variety of sizes and shapes, as well as fit into a variety of wedding themes and styles. 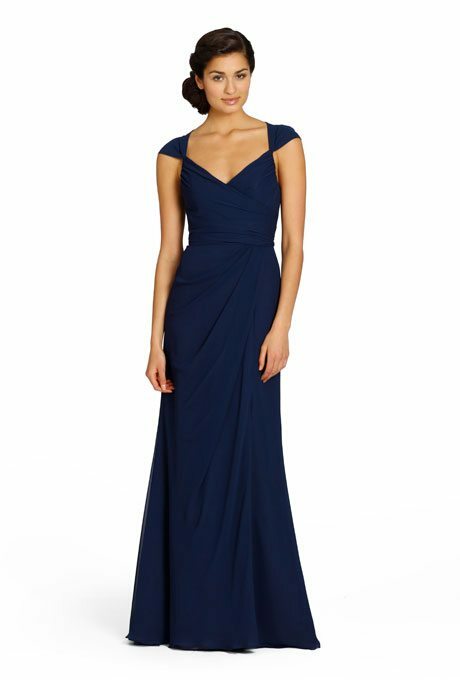 We love the neckline and sleeve shape of this modern design piece, it cinches at the wait and still has a skirt that can move on the dance floor. 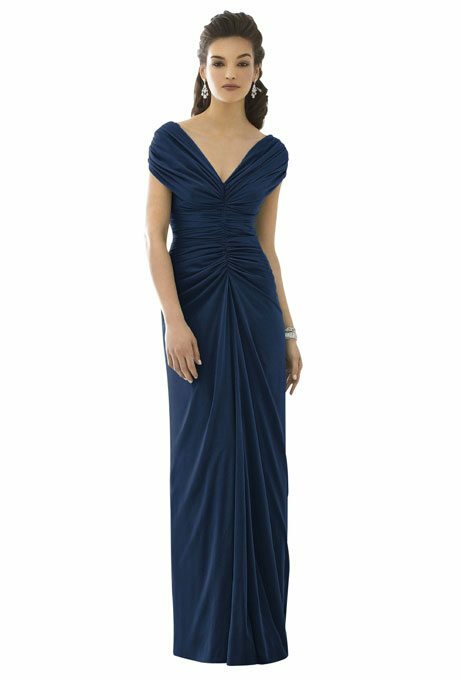 Perfect for a formal ceremony and reception, this too has Grecian style and timeless elegance for your ladies to dawn. The slit makes this choice a bit sexier and more youthful, and we also love how we get a rogue, 1920’s vibe with its styling. 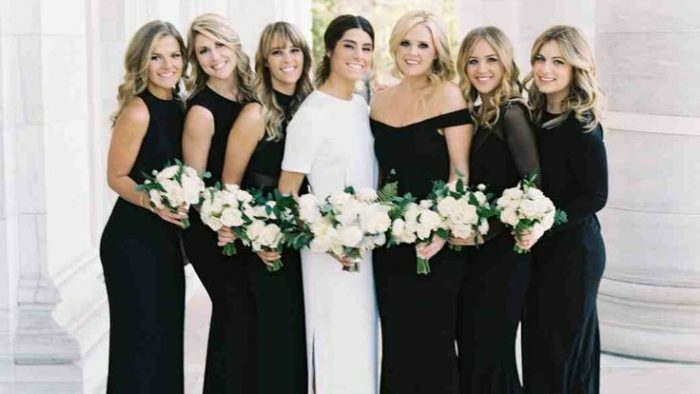 The uniqueness and comfort found behind this gown is a total benefit to bridesmaids, and it accents in all the right places.